I often wonder why it is that our current society believe that just because we are carrying a baby inside us, that life is suppose to change so drastically? Weren’t our bodies perfectly designed to keep this baby happy and safe in its home? I look at other cultures, where pregnant ladies are still expected to go and work in the rice fields, carry heavy loads from one spot to the next as well as just get on with life as per normal. Is our current society overprotective? I understand that many couples struggle to fall pregnant and I do see my bump as a complete blessing and treasure; but does life as I know it have to seize? 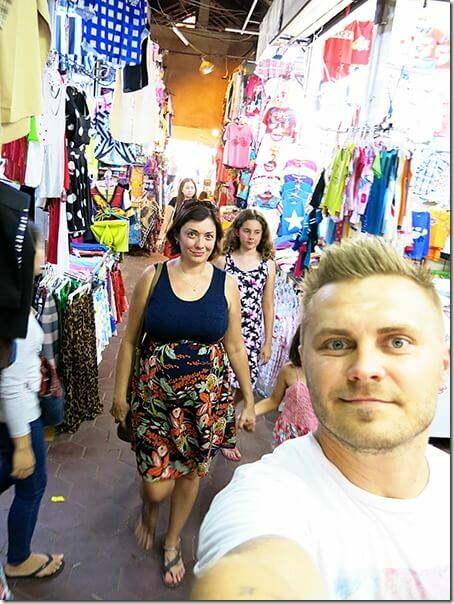 Travelling when Pregnant | Choosing the Right Destination! 1. It is important to check in with your doctor or obstetrician before booking your holiday. Listen to their concerns, because they will most likely have some. Remember you are an adult, and while it is important to take their recommendations seriously, you are free to choose what is best for you and your baby. 2. If your destination requires you to have vaccinations, you might not be able to go as live-vaccines are not allowed during pregnancy. If possible before trying to conceive, get your vaccines up to date! Or alternatively choose a destination where you are not required to get vaccines. 4. Think about how far along you are and what sort of level of advanced medical care the country you are visiting has. 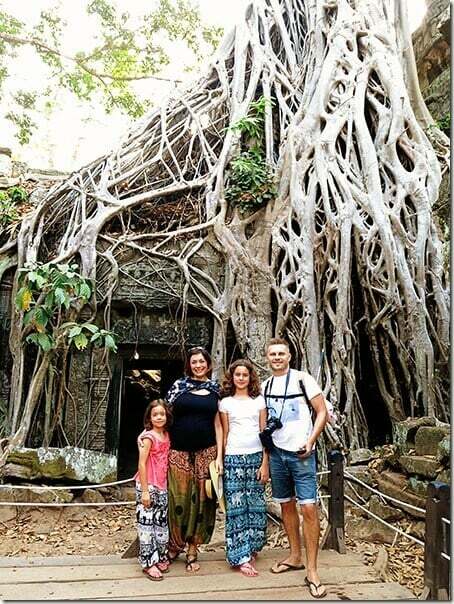 If you happen to go to a country such as Cambodia as I did, it will be important to research the hospitals and medical centres and to make a list of some suggestions that you will feel comfortable with if anything does happen on your travels. Best to be prepared I say! 5. It is recommended that pregnant women avoid altitudes above 3,658 metres; so leave those destinations located at high altitude for another day. 6. If you happen to go to a destination where cuisine and health standards in the food industry is very different to your norm, think how you can best go about keeping your baby safe. When travelling during pregnancy you have to play it safe with the food choices. Now is not the time to try all the local specialities. Best to stay away from street food and food that has a reputation of causing upset traveller’s bellies. Or best yet, pick a destination that you know your stomach can deal with. The fact of the matter is, each person experiences their second trimester of pregnancy very different to the next. 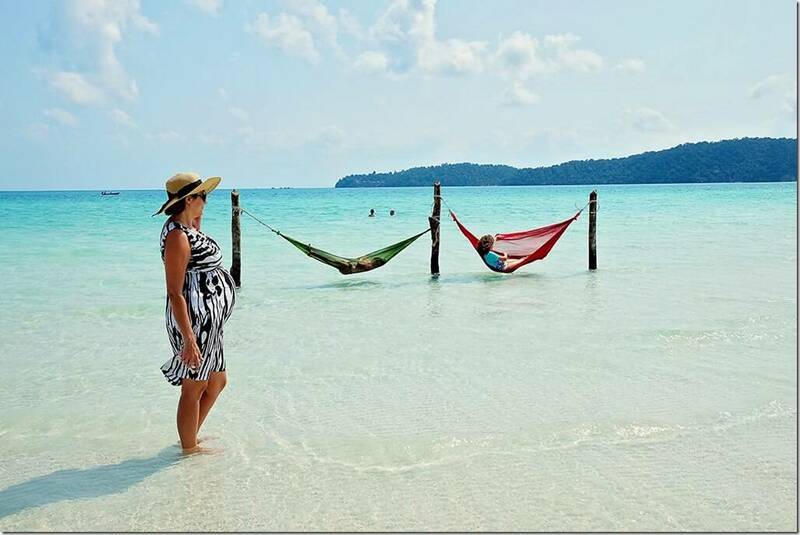 However generally most women feel the ‘best’ in their second trimester (14 weeks to 27 weeks) and therefore it is typically the best trimester to travel in. Do be aware though that you will look and feel very different at the start of your second trimester compared to the end. At the start your bump will be pretty small, but you might still have some left over symptoms from the first trimester. Towards the end of your trimester your bump will be very clearly visible, you will probably feel pretty good, but maybe be more uncomfortable on the flights. 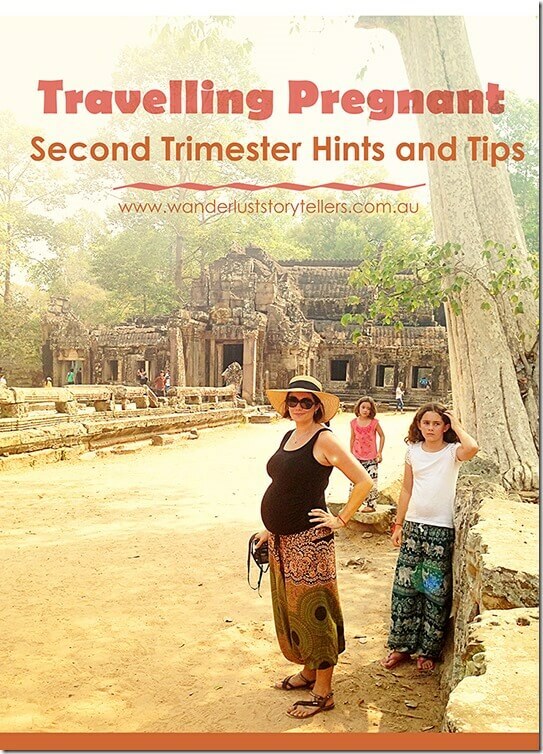 So keep these pointers in mind when you choose to travel during pregnancy. Morning sickness should be behind you! YAY!!!! I really struggled with the first trimester in regards to the exhaustion and nausea levels! For most women, around week 14, your nausea will slowly start easing off! YES! Your energy levels should pick back up and your hormones will be giving you a boost. You will typically feel more like ‘you’ again in the second trimester of pregnancy. Your energy levels will be higher, however you will still get tired if you try to attempt doing too much, so best to take it easy as much as you can! You should be feeling more positive and be enjoying your pregnancy a lot more! Congestion is a new symptom that will be poking its head out! I got so congested when I lied down to sleep that I felt like I couldn’t breathe! I ended up learning to sleep on two pillows in order to prop my head up and give myself some breathing relief! So don’t be scared to ask for extra pillows as you will need them! Mild swelling of the ankles and feet. As you grow, the extra weight, together with poor circulation in your body can cause some swelling of the ankles and feet! My feet actually looked like elephant feet at the end of my exploring days in Cambodia. The heat together with lengthy periods of standing and walking whilst exploring the Angkor Temples did not go down well! Luckily it was easy for me to pop my feet up at the end of the day and I generally had the treat of a foot massage to help get the circulation moving again! 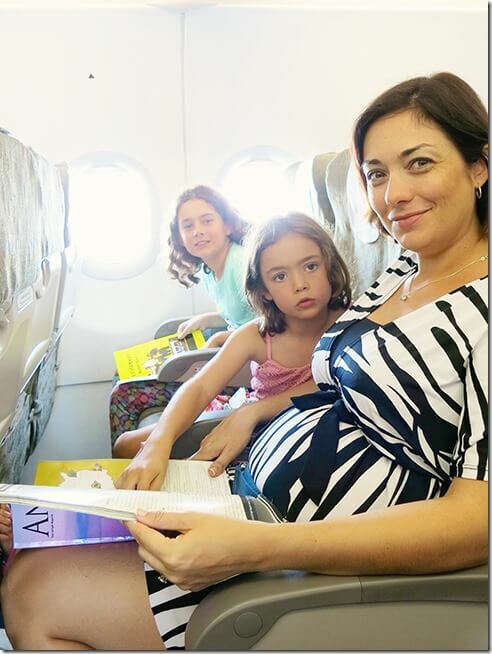 Traveling overseas while pregnant is completely manageable. Sure there are some rules, regulations and time periods stipulated by the airline that you need to be aware of. Yes if you are travelling pregnant on a plane you will definitely be more uncomfortable than before. Of course there are certain things that you you will need to do in order to best look after you and bub. 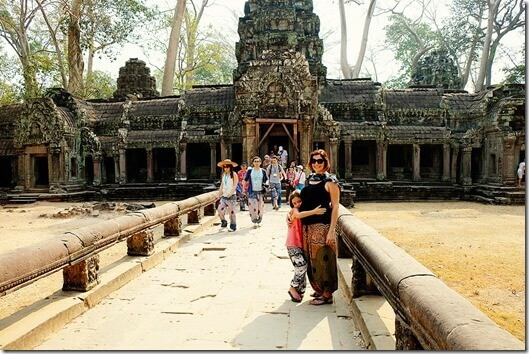 Here are all the things I learnt prior to my flight to Cambodia. Without a doctor’s certificate: Most airlines will allow pregnant ladies to fly up to around 26 – 27 weeks without needing to carry a doctor’s certificate. They will usually ask you to sign a Liability Statement at the check in counter. 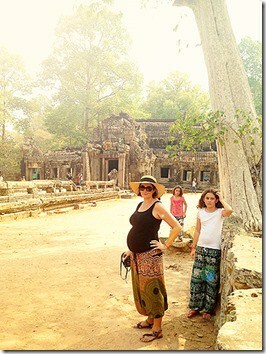 In saying this, even though I flew to Cambodia at 24 weeks pregnant and flew back to Australia at 26, because my belly was pretty big (3rd pregnancy syndrome! ), I got asked at most of the airports to show my doctor’s certificate, so I was pretty glad that I got one, even though I wasn’t really meant to have one on me! So I recommend, that if you are flying towards the end of your trimester, that you get the doctor’s certificate just to cover your basis! With a doctor’s certificate: If you've had a healthy pregnancy, you can fly on most airlines until you're 36 weeks pregnant. If you're carrying twins, this will usually be up to 32 weeks. The doctor certificate will merely state what your due date is and will need to specify that you are healthy enough to fly. It is important though to check your specific airline carrier as I found that many differed on the timeframe they allow pregnant ladies on. We flew on AirAsia, they accept travelling pregnant ladies up to 27 weeks pregnant without a certificate and up to 34 weeks pregnant with a medical certificate. Circulation – It will be very important to get up and stretch on the flight. Think about sitting in an aisle seat in order to do this freely. It might also be really beneficial to get some decent compression socks to help manage the swelling and circulation. Comfort – The bigger you get, the more uncomfortable the flight will get. There is no more pulling yourself up in a ball to be comfy. Space just seems super lacking and your body will start cramping up easily. Take a few neck pillows for support if you can or ask for extra pillows. I had one ‘beanbag’ style neck pillow and an inflatable one and I used both. Popping a pillow behind your lower back will help with comfort levels as well. Hydration – Hydration on a flight is important even if you’re not pregnant, so you can imagine how super important it is when you have to keep your fluids up with your baby. I recommend to take your own water bottle and ask the flight attendants to refill it for you as you empty it. Doctor certificate and medical records – Keep these in your carry on luggage, just for in case. It is important to have your medical records with you as well. We all heard about that baby born on a plane flight not too long ago right?? Buckle Low – Wear your seatbelt across the thighs and below the belly, where it's safest and most comfortable. Also, don’t be afraid to ask for the ‘extension’ if you need to! On our flight back from Cambodia, we had a half-empty plane, so I could stretch out across 3 seats to rest. Having the extender meant that I didn’t have to get up and sit up each time the seatbelt sign came on, and it was so much more comfy to wear whilst in the lying position! Choose your seat carefully – Can you have a seat with extra leg room? Should you choose the aisle seat so you can get up and move around to get the circulation flowing? 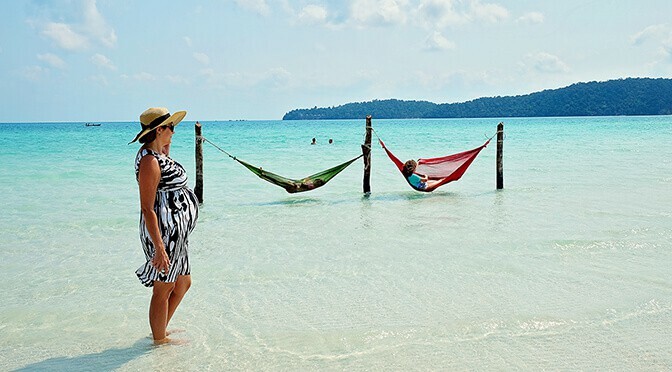 Flight Length – Another important point is that whilst international travel while pregnant is perfectly safe, you might want to refrain from taking super long flights to get from one point to the other. We had an overnight flight on the way to Cambodia and I could just not get comfy to actually get some sleep in. My body was cramping and aching by the time I got to KL and I was exhausted and totally ‘over it’. I’m thankful it was only a 9 hour flight and not a 22 hour one!! If you are travelling to a country other than your own, do ensure you take out travel insurance that covers pregnancies. Our normal insurance company did not cover pregnancies at all, we found some awesome companies that had comprehensive insurance options for those travelling while pregnant, however it came at a whopping price tag too, which we couldn’t afford. It will be in your best interest to shop around here, and make sure you read carefully through the fine print on the policies in relation to travel and pregnancy. A lot of policies will cover pregnant ladies and will also cover aspects of childbirth, but the trick is that they don’t cover any medical expenses related to bubs if bubs are born (seeing as baby isn’t on your policy as an individual just yet). So if there are complications and your baby requires close medical attention, all those expenses in regards to bubs will be on your shoulders! We ended up settling for InsureAndGo who covers medical expenses for pregnancy and childbirth from week 0 to week 32 whilst you are away. Note that they mention nothing about coverage for the newborn baby. But the price was affordable. Good luck on your hunt! Schedule sensibly. While you do have more energy in your second trimester compared to the first, it is important to set reasonable expectations and find time for relaxation everyday. We typically spent the mornings exploring and settled for relaxation next to the pool when the afternoon energy low hit. 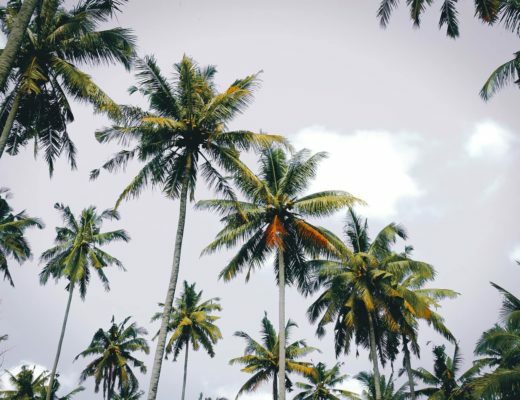 Think about what the easiest way to travel will be – If you are travelling internally within a country, what is the easiest options for getting about? For us choosing an hour flight over an 8 hour bus ride was a no-brainer! Take an umbrella for shade if you know you are visiting during a hot time period. 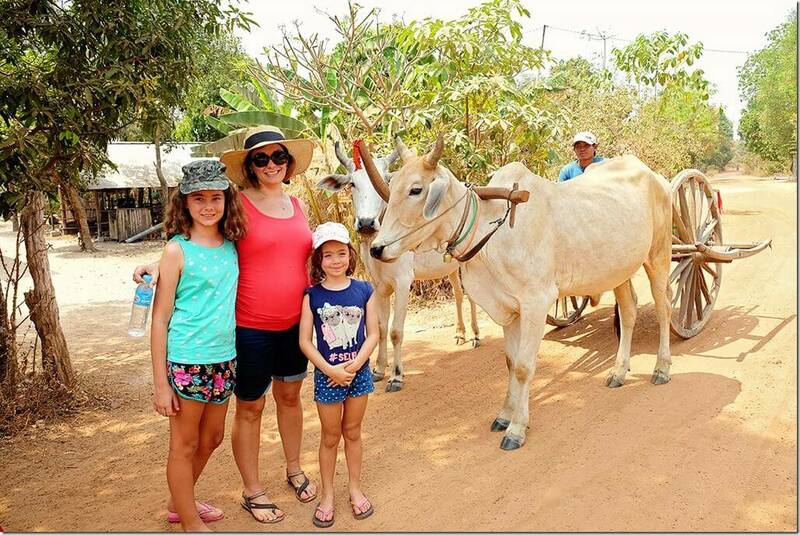 We went to Cambodia in the middle of the hot season. The umbrella was a lifesaver! Take comfy shoes to explore in. Dress for comfort – stretchy and loose clothing will be your friend, especially as you might be growing heaps on your trip away. Carry a copy of your antenatal records with you, in your handbag or backpack! Have a list handy of hospitals and doctors, again have in with you in your handbag or backpack. Have snacks on hand, always, it will keep you going! Stay away from activities that are too adventurous, you know the ones. If ever a thought crosses your mind whether what you are about to do is safe for the baby, best to skip the activity and go relax next to the pool or go for a hike instead. Take a medical kit, your doctor can help subscribe pregnancy-safe medication that you can take along as precaution. Constipation is a nasty enemy during pregnancy, and it gets even worse in a country where your stomach isn’t used to the cuisine. So I truly recommend to take some anti-constipation tablets with too. Other important medication will be anti-diarrhoea and anti-vomiting (pregnancy safe versions) as both of those conditions lead to dehydration which is dangerous for bubby. I got terribly sick with a vomiting bug (not related to food) on the way home and was grateful to have tablets on hand that I knew was safe to take. They say that travelling in the second trimester is the best time to travel. 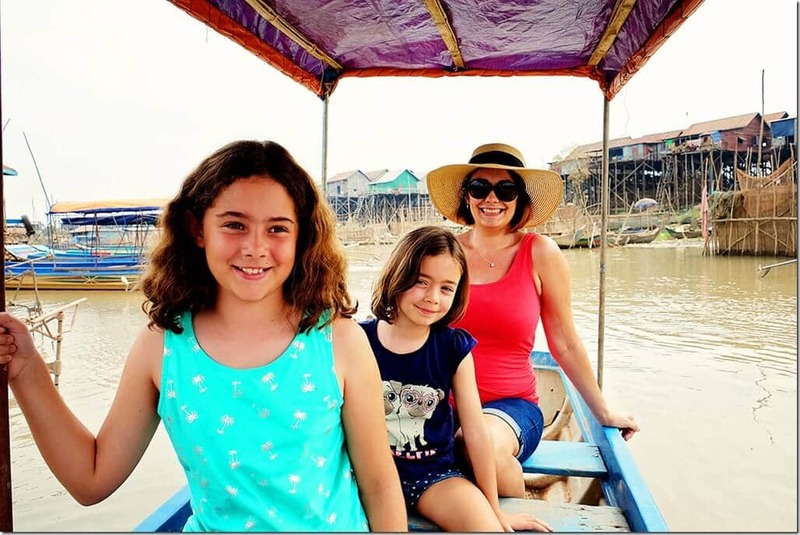 I loved our trip through Cambodia. Whilst some aspects of the holiday was more challenging than normal, it was fabulous to get out and explore. Sure we had to explore at a much slower pace than normal, but this merely forced us to relax more than usual, which we were probably in need of!! I’m a great advocate for travelling while pregnant, make the most out of your time with hubby or your family before that baby arrives. 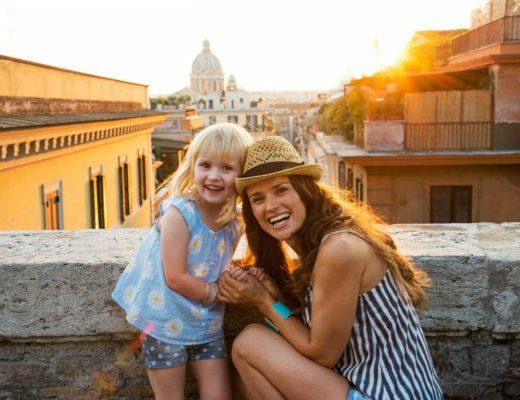 Your next holiday will only be trickier with a little baby by your side! Now is as good a time as any to have a holiday! Look out soon for my next post on our little holiday in the third trimester!! I’m on a 4 week count down till baby arrives, very exciting for sure!! 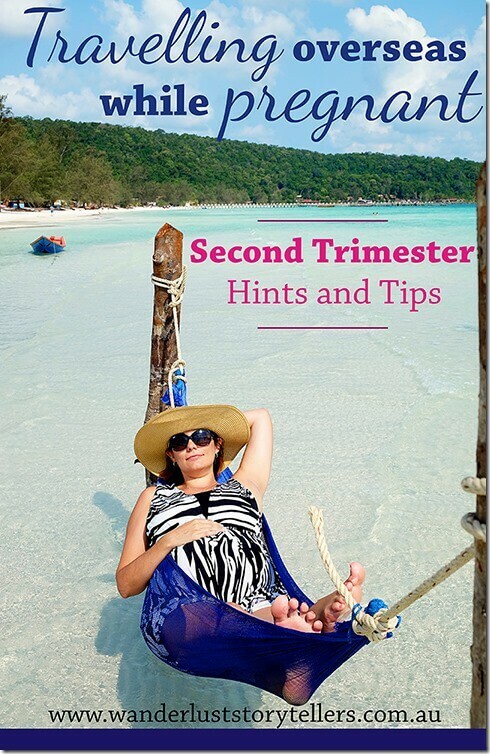 You can find my third trimester travel tips here! 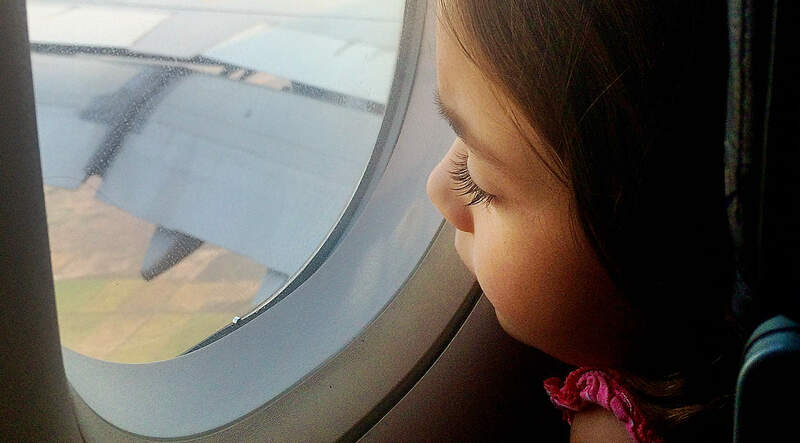 You might also like to get a head start and read through our Travel with Baby Guide here.